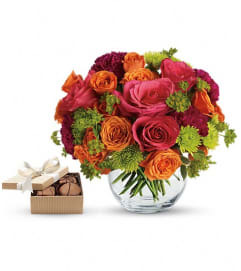 A perfectly pleasing mix of sweet springtime blossoms make this a truly happy gift. 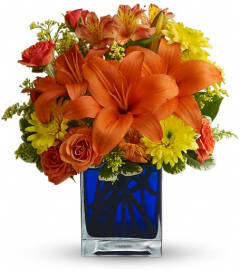 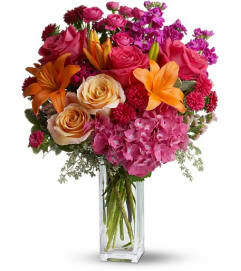 So full of feminine flowers and fun feelings, this is the perfect arrangement to make her smile. 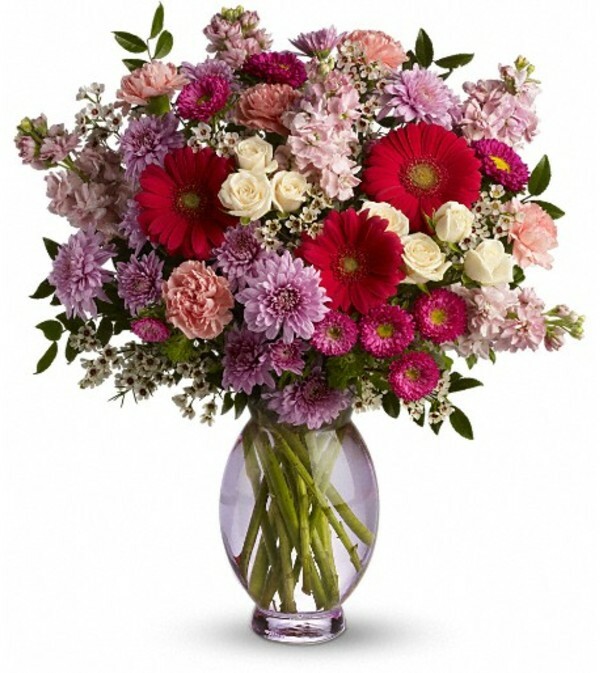 Dazzling white spray roses, hot pink gerberas and matsumoto asters, pink carnations, lavender cushion mums, light pink stock and much more fill a lavender Inspiration vase.